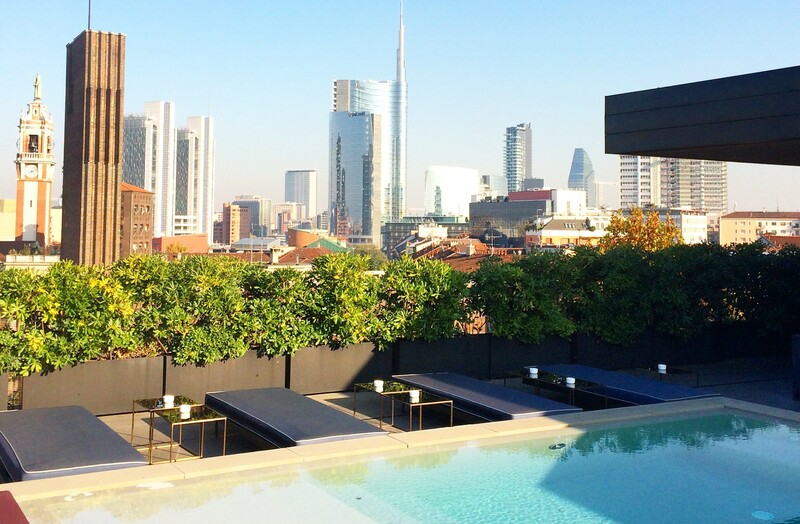 Milan is not famous for its skyline and the rooftop terraces like New York City or Paris but it may become soon, since a lot of new bars and restaurants with view have been opened recently. This post is just the first part where I will present you 3 bars/restaurant where I go frequently. 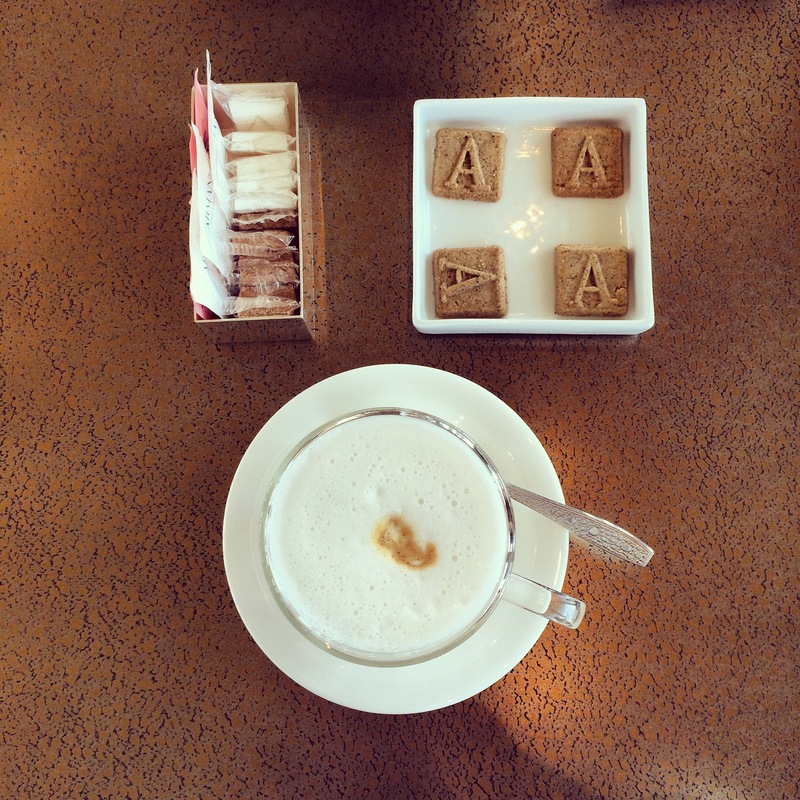 If you asked me to pick my favorite place in Milan, it would be Armani Bamboo Bar for sure. Located on the 7th floor of Armani hotel, this places offers the best escape from the busy streets of Milan without leaving the Milanese fashion district. 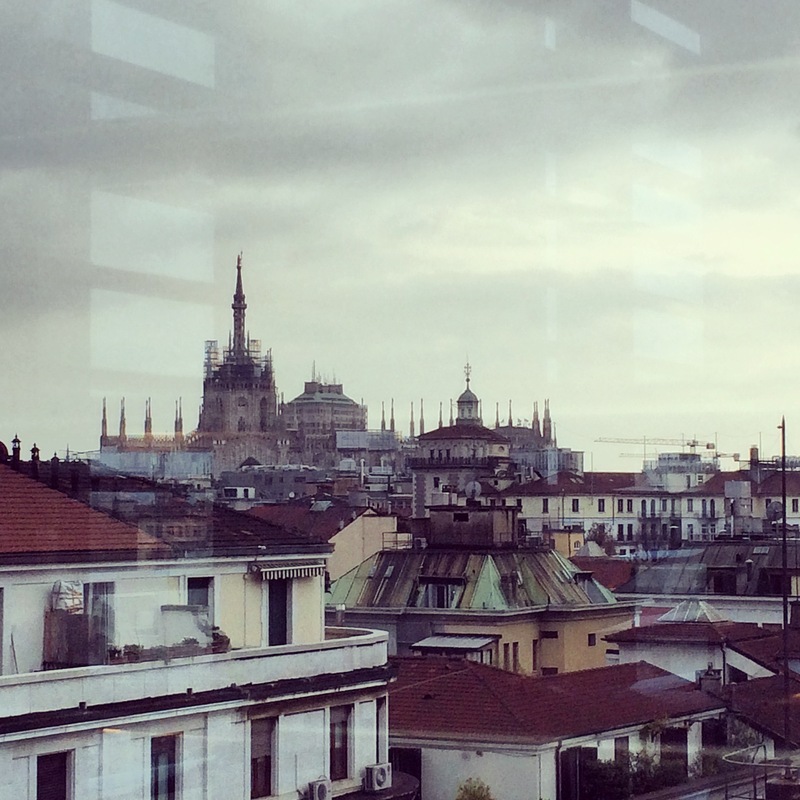 Even though there’s not a terrace, the view over the old Milan is spectacular and includes the Duomo towers, via Monyenapoleone, Via Manzoni anc much more. I prefer going there by day since Milan is not that illuminated by night. This place is both a bar and a restaurant so you can have any meal you want: starting with breakfast and ending a day with aperitivo, dinner or a glass of wine. 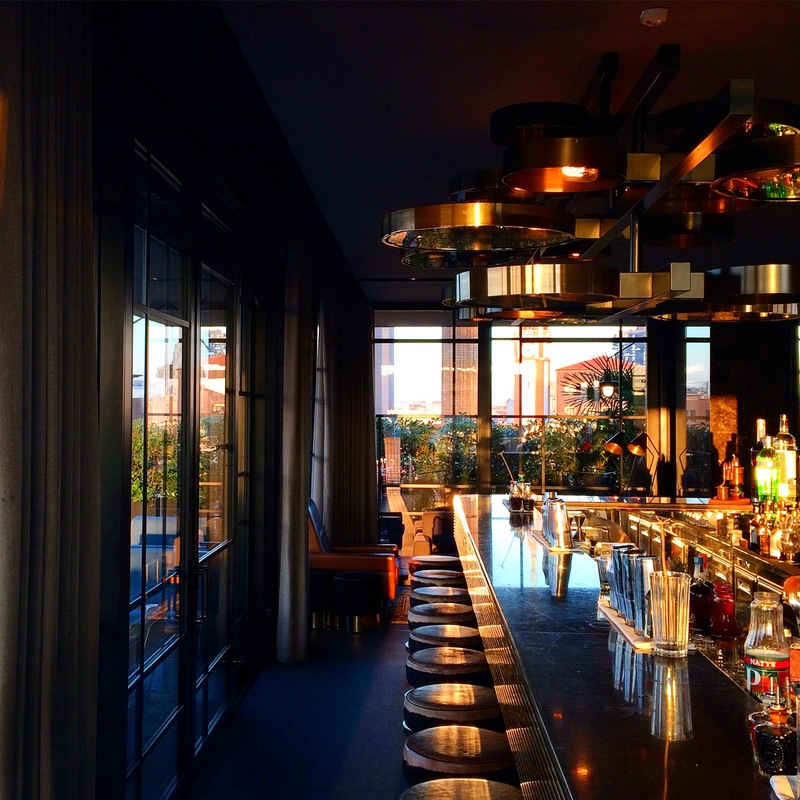 Almost every Italian fashion brand has its own bar or restaurant in Milan. Ceresio 7 is the restaurant managed by Dsquared2 and is actually located on the last floor of their headquarters. The indoor area is reserved for dining only except for the bar where you can have one of their signature cocktails. 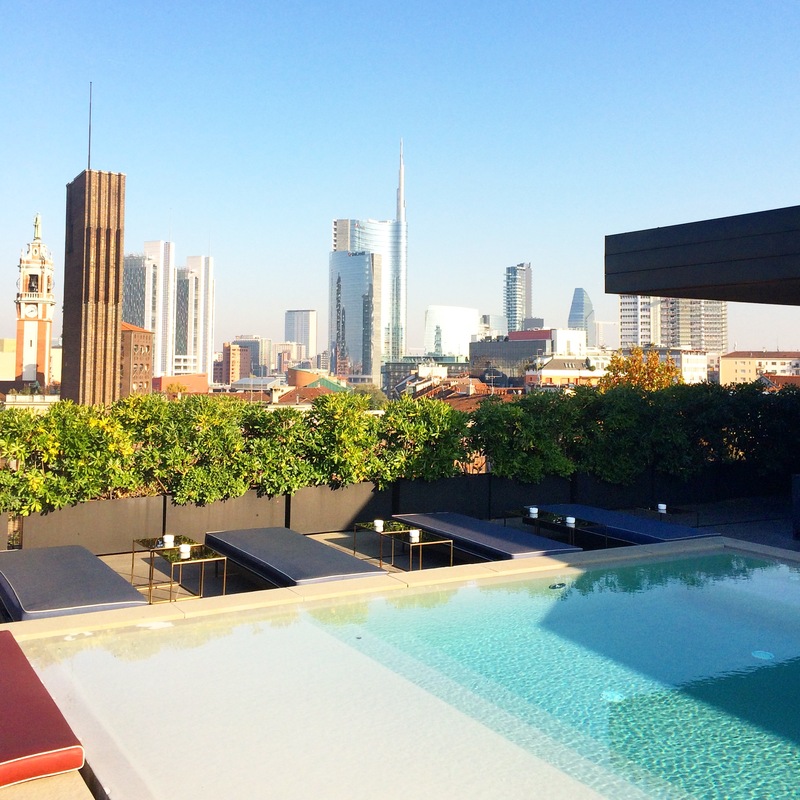 There are two terraces overlooking the new Milanese districts Porta Nuova and Isola and both of them have a pool where you can spend the whole day in summer time. The terraces are very busy during the aperitivo time (18:30-21:00), especially in the spring and summer because of the breathtaking sunsets. 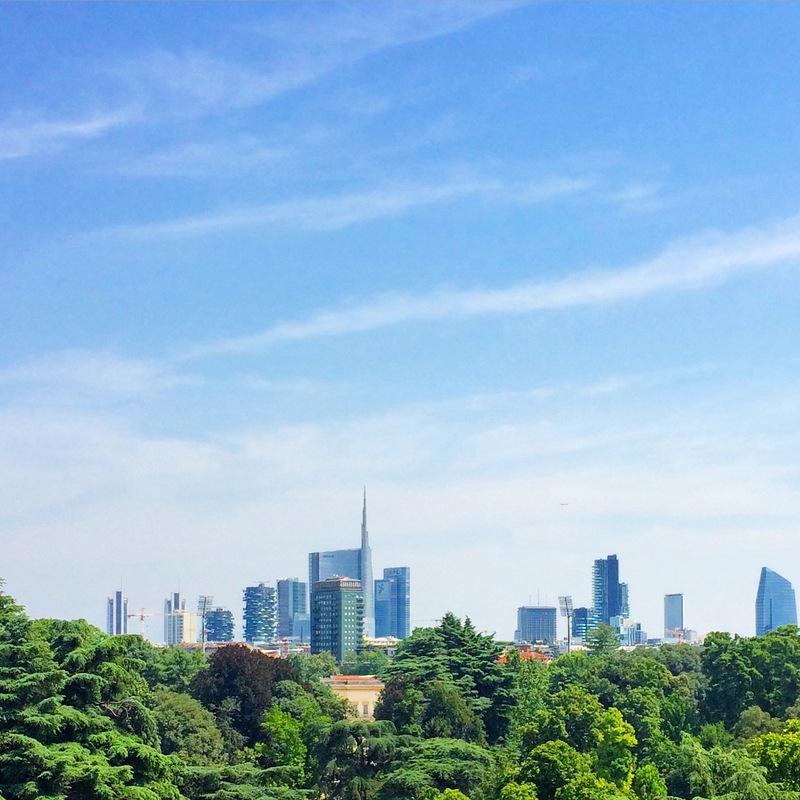 Opened recently, just in time for the beginning of EXPO 2015, has become a very attractive location in Milan. Osteria con Vista is situated on the last floor of Triennale museum, the museum where a lot of temporary design exhibitions take place. What makes this terrace that interesting? It’s absolutely the view that I find very similar to the one that you see from the terrace of the Metropolitan Museum in New York City. You see the park (Parco Sempione) and the skyscrapers of Porta Nuova. This terrace is perfect for lunch or break after visiting the museum.